have you seen these beauties? 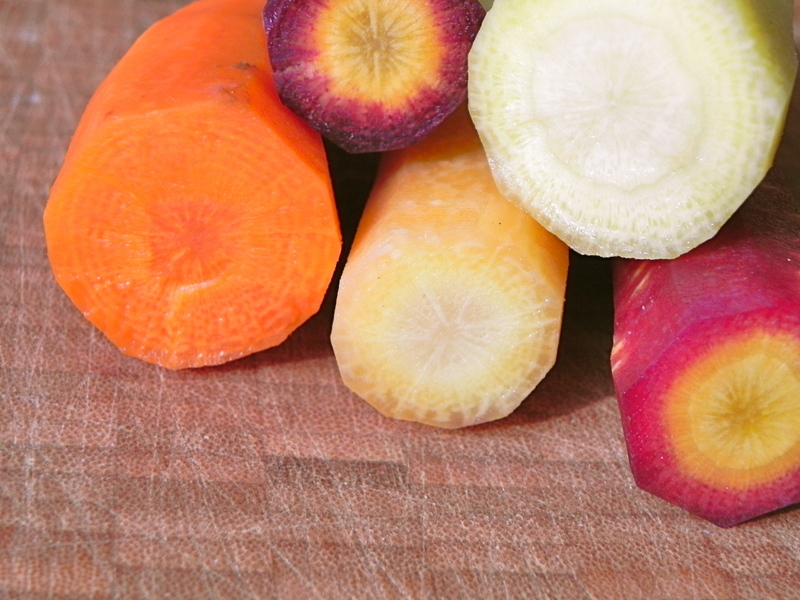 Have you seen these beautiful carrots at the market or grocery store? I love how bright they taste. Crisp and sweet. And did I mention the bold colours? Sometimes I add them, thinly sliced, to salad. Or serve long spears with hummus. 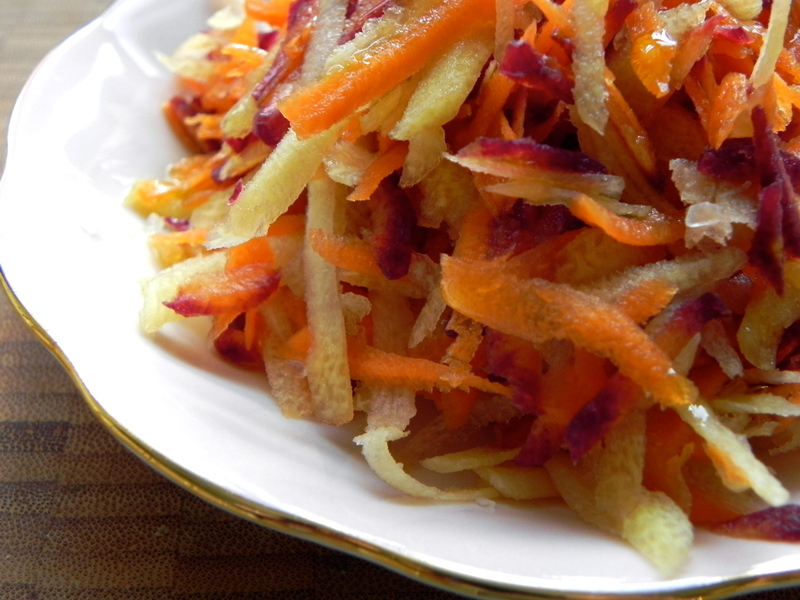 But this time I grated some, added a drizzle of oil and a pinch of coarse salt… instant salad. If this seems too plain for you try adding some herbs or seeds. Maybe poppy seeds, or a little zaatar? I put a heap of this ‘salad’ on my sandwich at lunch and I can tell you, grated carrots are as nice on a a simple sandwich as lettuce is. Fresh, and crunchy. Refreshing. If there were any left-overs, they would go in tomorrow’s arugula. Like I said, if there were any leftovers.